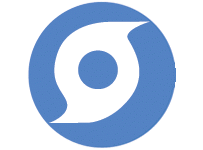 Hurricane season began June 1st. Were you ready? Although disasters can happen any time of year, USDA recommends reviewing disaster preparedness information at least once a year. What better time than the beginning of hurricane season? You can start with the USDA Foods Program Disaster Manual. This is a great basic resource to help Federal, State and local partners understand when and how USDA Foods can be used effectively in disaster response. A new USDA Foods Disaster Preparedness online training is now available from The Institute of Child Nutrition www.theicn.org (formally known as NFSMI). This new course is free. You can earn one continuing education unit after completing the course. Use the NFSMI Quick Start Guide to register on the NFSMI website www.nfsmi.org. The USDA blog featured a guest post from Chef Brenda Thompson, who developed recipes for Idaho's Chef Designed School Lunch Cookbook, a resource featured in our Creating Healthy Menus Using USDA Foods webinar! Read on to learn how she incorporated USDA Foods and tested recipes with students. As an advocate for school foodservice staff, I am committed to being a resource—both in getting the word out about the nutrition goals schools are achieving daily and in helping kitchen staff be more efficient and have fun at their jobs. In conjunction with these goals, I am often presented with opportunities to provide support for schools in meeting the standards set forth in the Healthy Hunger Free Kids Act of 2010. Since I enjoy marketing healthy foods to kids and encouraging them to try new things, these opportunities are a great privilege. The Idaho State Department’s Child Nutrition Program (CNP) was provided a USDA Team Nutrition Grant and then chose me to develop the recipes for the Chef Designed School Lunch Cookbook. 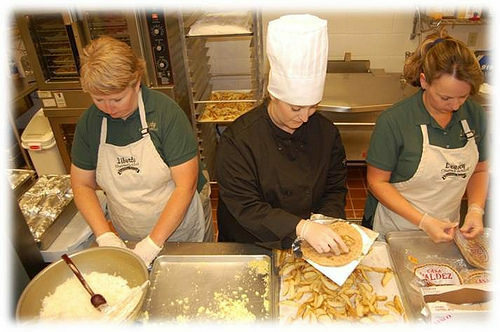 Chef Brenda and food service staff prepare breakfast burrito recipe for school taste testing. 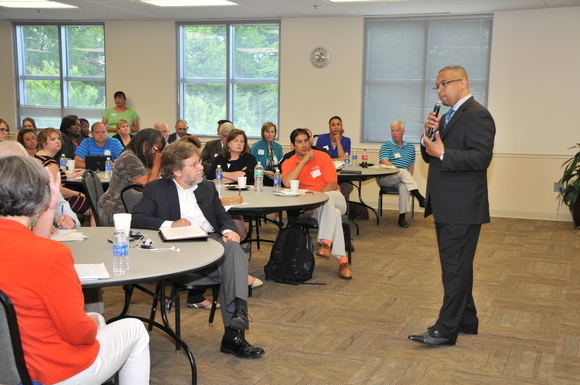 On May 21, 2015, USDA Food and Nutrition Service’s Southeast Regional Office in partnership with The Atlanta Community Food Bank (ACFB) and The Georgia Food Bank Association hosted the 5th Annual Southeast Regional Food Bank Conference. The day started off with a tour of the ACFB and their wonderful facilities. Bill Bolling, ACFB Executive Director, provided opening remarks and framed the day. Robin Bailey, Regional Administrator, provided the group with the USDA perspective and discussed how a number of our food assistance programs are impacting individuals and households in the Southeast. Keeping with tradition, Diane Kriviski, USDA Food and Nutrition Service Deputy Administrator, provided the group with program updates for a number of USDA food assistance programs. Over the past few years the topics at this meeting have grown to include discussions around what roles food banks can and do play with a number of USDA programs including The Emergency Food Assistance Program, The Summer Food Service Program, and the Supplemental Nutrition Assistance Program. The meeting is a good opportunity for USDA, State agencies and Food Banks to network together to discuss current trends and talk about strategies for implementing and increasing participation in these vital food assistance programs. Southeast Regional Administrator Robin Bailey giving opening remarks at the 5th Annual Southeast Regional Food Bank Conference. 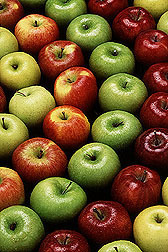 USDA revised its Shipment and Receipt of USDA Foods agreement on June 2, 2015. The newly revised FNS Instruction 709-5, Rev 2, replaces the prior version, Rev. 1 dated April 1, 1993. The purpose of this Instruction is to establish the general standards and procedures that the State distributing agency (SDA), Indian Tribal Organization (ITO) or other consignee must follow in receiving shipments of USDA Foods (i.e., donated foods) in USDA food assistance programs, including the Commodity Supplemental Food Program (CSFP); the Food Distribution Program on Indian Reservations (FDPIR); The Emergency Food Assistance Program (TEFAP); the National School Lunch Program (NSLP); the Nutrition Services Incentive Program (NSIP), which is administered by the Department of Health and Human Services; and in other outlets; and to convey established responsibilities for other entities such as USDA Foods vendors and carriers. The standards and procedures established in this Instruction are necessary in determining if shipments of USDA Foods are received in optimal condition and in the quantities ordered, and ensuring the proper disposition and replacement of USDA Foods when circumstances warrant. State or ITO questions may be referred to Regional Office staff. On May 8, 2015, Food and Nutrition Services released a policy memo entitled, Alternative Value Pass-Through System Pilot Project under the Department of Defense Fresh (DoD Fresh) Program. This memo details a new method for crediting school districts for the value of DoD Fresh food items. The purpose of this pilot is to reduce reporting burden and simplify the crediting process. The new method allows companies that provide prepared meals to schools to immediately credit the school district for the value of the DoD Fresh food they receive. This reduces the amount of work required to track the value of the food. 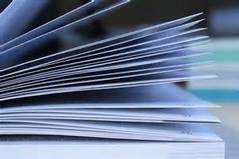 Other methods of crediting school districts involve added tracking and reporting steps since the credit is not passed on to the school district until later in the invoicing process. We hope that providing this alternative will encourage broader use of DoD fresh food items in prepared meals. This will allow school districts to take fuller advantage of their entitlement and reduce burden for smaller meal vending companies. USDA staff was on the ground recently to visit the Utah Food Bank and volunteer their time to support its mission. This visit was planned to close out the American Commodity Distribution Association (ACDA) conference activities hosted in Salt Lake City in early May. The Utah Food Bank provides services to food pantries and CSFP programs in Utah and relies on USDA Foods to provide support for these programs. ACDA attendees, including USDA staff, stepped in to help the Food Bank sort and repack totes of potatoes into boxes for distribution to partner programs around the state. Attendees were also able to tour the facility to get a behind-the-scenes look at the storage and distribution process to get USDA Foods and donated food to 134 partner programs in Utah. The Utah Food Bank has implemented a variety of innovative programs and initiatives to improve services, but USDA staff was especially impressed by the volunteer program in which children decorate the outside of the CSFP boxes to help brighten the day of the program recipients. It is exciting to see all of the unique strategies recipient agencies have to maximize food resources and improve program services. We thank the Utah Food Bank for sharing their best practices with us. If you have implemented programs or initiatives that you think others would like to hear about in a future e-letter, please send them to us at USDAFoods@fns.usda.gov. (Left to right) USDA staff, Dana Rasmussen, Julie Skolmowski, and Christina Riley helped prepare boxes for distribution at ACDA. Have you ever wondered where your USDA Foods cheese and milk come from? Dairy products may originate with cows, sheep, and goats, but they would never make it to school lunches and households around the country without our partners at the USDA in Kansas City, Missouri. 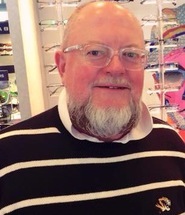 Meet Bill Lang, who supervises a procurement staff of 9 and contracts totaling over $225 million per year. Bill's team procures mozzarella cheese, including cheese sticks, primarily for schools; process cheese and cheddar cheese for all USDA Foods programs; evaporated and shelf-stable milk, primarily for household programs; and the new high-protein fat-free yogurt for schools. He is also in charge of the service contracts for the national distributors of household foods, with warehouses in Nampa, Idaho; Kansas City; and Syracuse, New York. Bill has worked at USDA for 28 years, starting out in the finance area before transitioning to humanitarian food aid shipments, through which he had the opportunity to travel to Haiti, Kenya, Ethiopia, Yemen, and Bulgaria to carry out fact-finding trips in support of USDA-procured international humanitarian food aid. He joined dairy procurement in 2003 and enjoys facilitating communication with contractors and suppliers, ensuring customer service, developing and training his staff to help them grow in their careers, and engaging in problem-solving when challenges arise. Bill's goal is to ensure that USDA continues to be considered a best customer with suppliers in the dairy industry, so that interested parties will compete in the marketplace to supply commercially viable USDA Foods. USDA has been working hard to meet the new school meal patterns and deliver products that can perform well in the cafeteria and in the oven. Bill said one of the biggest changes he has witnessed in dairy procurement is the implementation of the meal pattern requirements and resulting demand for more lower sodium and lower fat options. He also noted the positive trend towards portability of nutritious dairy products for school children, such as the 4 oz. cup of high protein yogurt and the 1 oz. cheese stick. After completing his degree in Agricultural Business at the University of Missouri, Bill worked for a sanitation service company for food processing plants, performing inspections of cheese, milk, beef, pork, and poultry plants. He took a management opportunity with USDA that has evolved into a wonderful career path, reflecting the dual mission of supporting the American dairy industry and producers while also improving nutrition and food security. Bill has learned a lot about the impressive level of nutrition--from vitamins, minerals, and amino acids--in dairy products such as yogurt and cheese. Try one of these USDA Foods today! The Idaho Food Bank is working to solve senior hunger in Idaho with the addition of the Commodity Supplemental Food Program (CSFP). Idaho is one of seven States added to the program late in 2014. Idaho’s launch took place on Friday, May 8 at the Salvation Army location in Boise. It shed light on the needs of hungry seniors in Idaho and partnership efforts to address that hunger. Idaho’s strategy includes a multi-faceted approach involving food distribution and nutrition education. The Food Bank has teamed up with the Idaho Commission on Aging to distribute the CSFP food boxes. This program is designed to improve the health of people at least 60 years of age by supplementing their diets with nutritious USDA Foods. The Food Bank will distribute 2,000 boxes of food to Idaho seniors each month once the program is fully operational. Those boxes will be distributed statewide with designated partners in each region, including The Salvation Army in Boise. (Top) Idaho Food Bank staff share recipes and MyPlate resources during a cooking demonstration that introduced participants to salmon cakes made with CSFP foods. 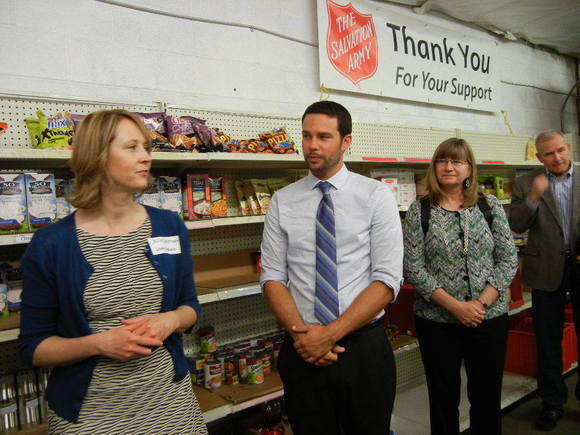 (Bottom) Idaho Food Bank Program Director Jackie Yarbrough leads a tour of the Salvation Army Food Pantry in Boise. The Salvation Army is one of the first sites to offer CSFP benefits in Idaho. The Fresh Fruits and Vegetable Order Receipt System (FFAVORS) will receive the final phase for the removal of the automated goods receipt function with the next software release. Scheduled for June 28th, this final phase will enforce the rule that all orders must be receipted by the customer within 7 calendar days of the requested delivery date. Simply stated, if you have placed an order to be delivered on Tuesday, the customer has until close of business the following Tuesday to enter the receipt. If this is not performed, the customer will not have the ability to enter a new order. To streamline the receipting steps in FFAVORS, the receipting process was modified within the software release. Now, a receipt can be performed with only 3 clicks of the mouse. The goods receipt entry is immediately applied so if a customer finds they are unable to place their new order due to an outstanding goods receipt, the receipt can be entered and will immediately open the ability to place new orders. The receipting process is outlined in the user manual and the new steps will be updated with the June 28th software release. The manual can be access by selecting the ‘Help’ link found in the FFAVORS application. As always, any questions can be sent your DLA account representative or the FFAVORS@FNS.USDA.GOV mailbox. CSFP has come a long way since 1980's when it supplied eligible women, infants and children. 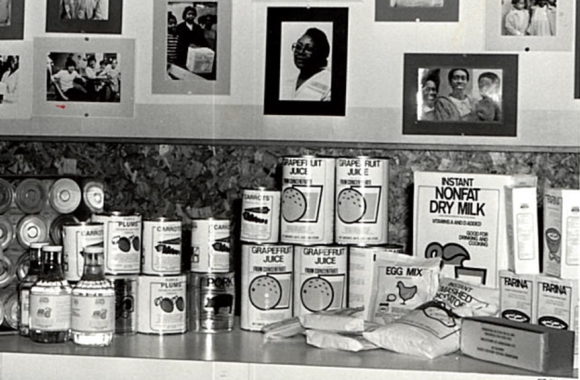 Some foods available when this photo was taken included: Infant Formula, Canned Meat, Canned Fruit and Vegetables, Fruit Juices, Instant Non-fat Dry Milk, Instant Farina, Instant Potatoes, Peanut Butter, Dried Egg Mix, Evaporated Milk, Light Corn Syrup and Processed Cheese. 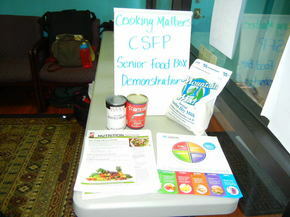 Today, CSFP has over 50 items on its Foods Available List and is now designed to meet the nutritional needs of Seniors.